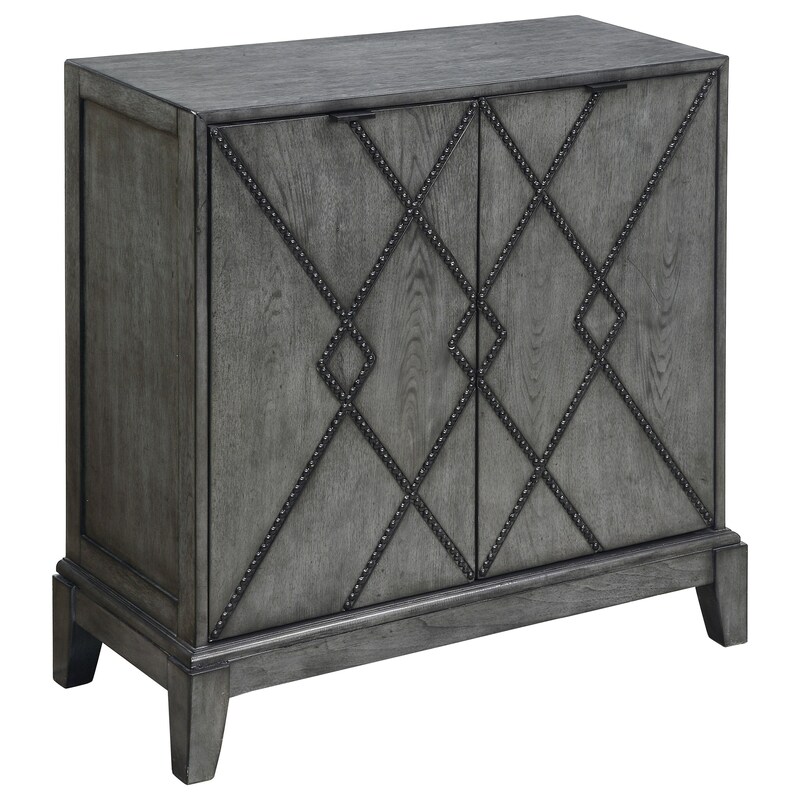 An inset diamond pattern studded in nail-head trim criss-crosses the front of our two door cabinet for an subtle yet intricate design. Strikingly finished in our Kino Burnished Grey and with clean linear lines, this piece will fit any room, and add visual interest to any decor. The Coast to Coast Accents Two Door Cabinet by Coast to Coast Imports at Zak's Home in the Tri-Cities, Johnson City, Tennessee area. Product availability may vary. Contact us for the most current availability on this product.